People often ask how I like retirement. Although I haven’t exactly been put out to pasture. In reality, I feel I work really hard to make something work for us. Or at least to try some ventures to see what works and what doesn’t. I work hard in order to simplify, if that makes sense. I was being hard on myself for not being able to DO MORE; to get MORE DONE. (It felt a lot like how I felt when I chose to stay home while the boys were young.) I mean I don’t work … ahem, have a paying job. When, I realized, I am working. A lot. 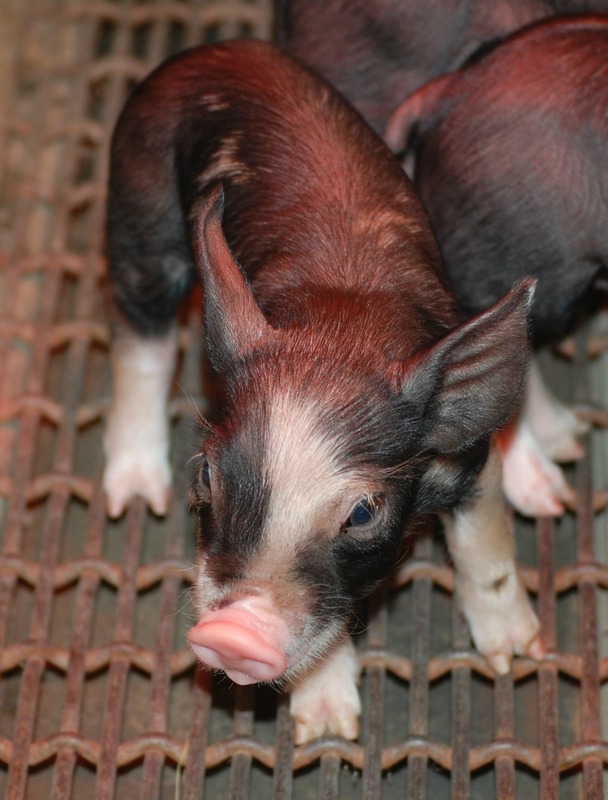 This life that Pig-farmer and I have chosen is a full-time job for me. Just because grain farmers have been rained out of the fields for days on end or may not be as busy during the winter, does that mean they are not full-time, hard-working, farmers? Just like any career, there are busier times and slower times. Sometimes chores take longer than others. Some days, there is just more poop to scoop. That probably fits the bill at any job/career, right? 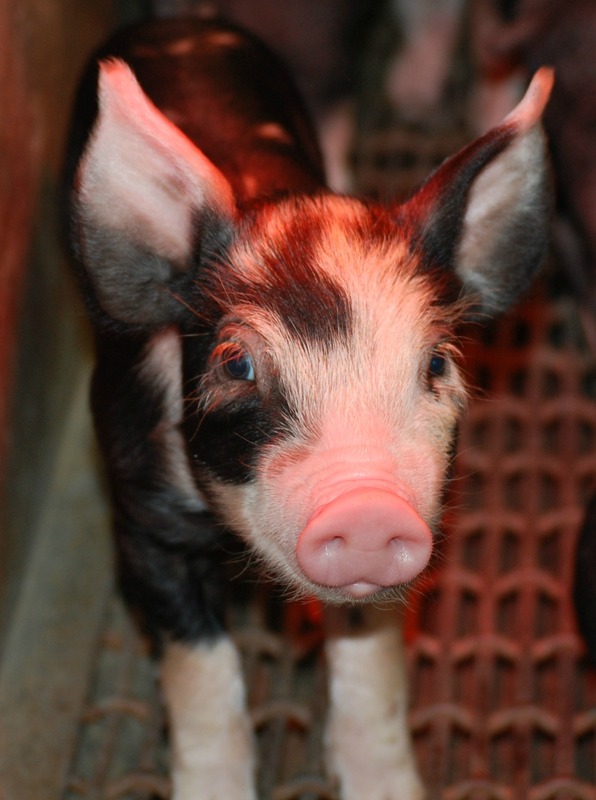 Leaving home at 6 a.m. to take pigs to the processor’s this morning, did allow me to have some time later in the morning, after the sow was fed and market hogs were watered, to work on a blog. I can blog and do paperwork while also trying to manage the ridiculous amount of laundry that this rainy, cool weather generates as we do our livestock work in the mud and muck. I took these four to the veterinarian’s yesterday. Two were having some diarrhea and goopy eyes. Now, how can I find good homes for them that way? It appears that three of the four furballs are females. At the vet’s, they dewormed and gave the first round of kitty vaccines. Plus, I now give them a minuscule dribble of antibiotics two times a day for 10 days to clear up any infection they may have. Then, they will be ready for new homes. Sigh. No really, I have to. Yesterday alone cost $122. But, I had to know they were healthy. Still, I was selling pumpkins to help with Christmas expenses not to pay for kitten bills. My days have a different pace and rhythm than they used to, when I was “working.” It’s taken over a year, but I get it. I do still work full-time. It is work of our choice, varying as demanded by weather and livestock. Trying to simplify a lifestyle, while working through complications and a few struggles. Our families have different needs at different times. Our lifestyle choices may vary. What makes one comfortable or content may very well not work for someone else. 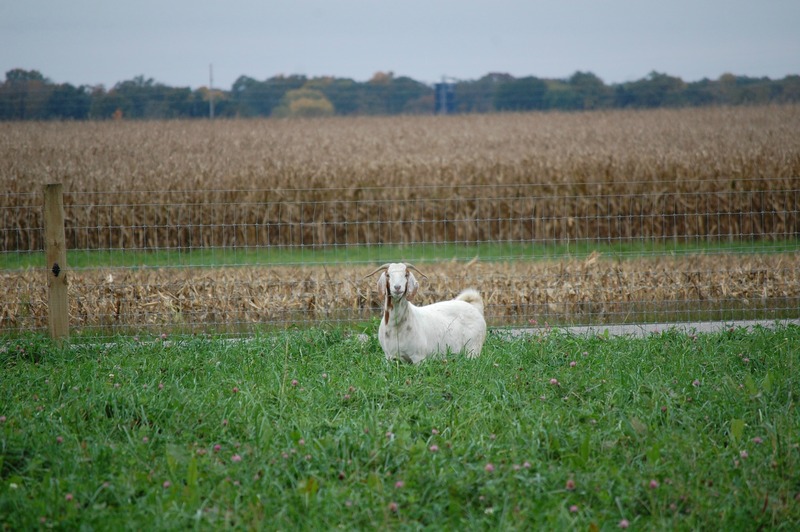 This entry was posted in Berkshire Pigs, Boer Goats, Country Living, Positive Thinking, Random Thoughts, Work/Career and tagged Berkshire piglets, Boer goat, farm animal photos, Kittens, work and career, work and home. Bookmark the permalink. I love the little long-haired kitties with Siamese markings. My new kitty doesn’t have long hair. Do you ever feel like you are SUPPOSED to be working at a Real Job (Paying) because everyone else does? I have those feelings from time to time… and I am bothered by not being able to do as much with my free time as I did before the car accident. Yes, I think there is a bit of guilt over having “free” time at my age. Plus, people assume we have more money than we actually do. We make a ton of ($$) sacrifices in order to have the animals and for me to work at home caring for them. It’s definitely not the “norm.” I am sorry you still suffer the effects of the car accident – crazy the amount of daily living activities that we take for granted, isn’t it? Glad you have your sense of humor, though!! If we were on our farm, I would take those kittens off your hands in a heartbeat. Alas, if I took even one now, I probably wouldn’t have a husband to take care of anymore. LOL!!! You are full-time and a half!!! Too bad your salary doesn’t show it. 🙂 Your rewards will come later. 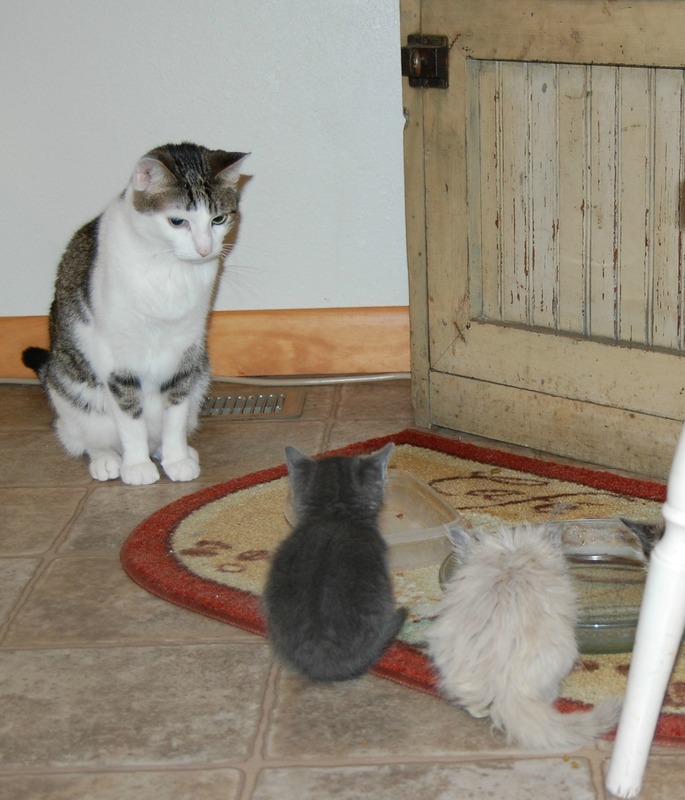 I know what you mean about the kittens … that is why I have to find homes for them!